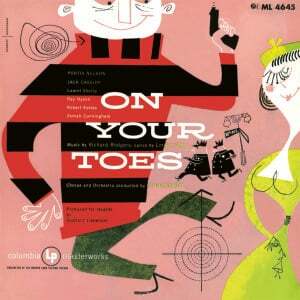 The clever, sophisticated lyrics of Lorenz Hart (b. Harlem, New York, 2 May 1895; d. New York, 22 November 1943), who partnered with composer Richard Rodgers for almost 25 years, can still bring smiles to the lips, decades after they were first popular. The greater percentage of songs by Rodgers and Hart were introduced in Broadway musicals, with the notable exception of “Blue Moon,” that ubiquitous ballad of the thirties, forties, and fifties, and a sprinkling of tunes written for the silver screen. Recordings by Frank Sinatra, Billie Holiday, Ella Fitzgerald, Blossom Dearie, Carly Simon, and many others, as well as informal gatherings around a piano and a copy of The Rodgers and Hart Songbook, continue to keep Hart’s lyrics alive and as dazzling as ever. Because you’re married to me. With your wee head upon my knee. Bewitched, bothered and bewildered – no more. 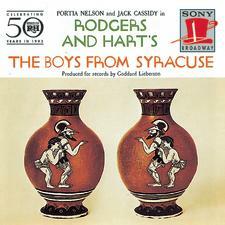 The partnership of Richard Rodgers and Lorenz Hart began while Rodgers, seven years younger than Hart, was a student at Columbia, and the two collaborated on songs for several amateur and student productions. As early as 1919 one of their songs, “Any Old Place with You,” was included in a Broadway musical comedy, A Lonely Romeo. In 1920, one of their Columbia Varsity Shows featured a score by Rodgers, Hart, and Oscar Hammerstein II, who had been Hart’s classmate as an undergraduate. 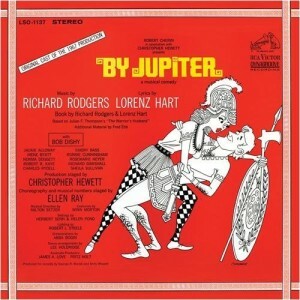 That same year, songs by Rodgers and Hart were mixed in with some by Sigmund Romberg in a Broadway pastiche called Poor Little Ritz Girl (Hart’s characteristic offering: “Love’s Intense in Tents”). The team’s big break came in 1925 when the Theatre Guild hired them to write the whole score for The Garrick Gaieties; the show’s smash hit was the now-classic “Manhattan,” to which Rodgers always attributed their enduring success. Within the next five years they had written the music and lyrics to more than fourteen Broadway shows, including Dearest Enemy (“Here in My Arms”), The Girl Friend (“Mountain Greenery,” “Blue Room”), Peggy-Ann, A Connecticut Yankee (“My Heart Stood Still,” “Thou Swell”), Present Arms (“You Took Advantage of Me”), and Spring Is Here (“With a Song in My Heart”). Rodgers and Hart moved to Hollywood in 1930 to turn out scores for several musical movies: Love Me Tonight (1932, “Lover,” “Isn’t It Romantic”) with Maurice Chevalier and Jeannette MacDonald, The Phantom President (1932) with George M. Cohan, Hallelujah, I’m a Bum (1933, “You Are Too Beautiful”) with Al Jolson, Evergreen (1934, “Dancing on the Ceiling”), and Mississippi (1935, “Soon”) with Bing Crosby and W.C. Fields. While on the West Coast, Hart also provided the English translation for the 1934 MGM version of Franz Lehar’s The Merry Widow. 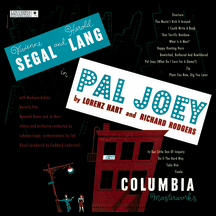 Legendary Broadway producer Billy Rose brought Rodgers and Hart back to New York in 1935 to write the songs for his circus spectacular, Jumbo (“The Most Beautiful Girl in the World,” “My Romance,” “Little Girl Blue”), and for the next seven years they had triumph after triumph on the Great White Way: On Your Toes (“There’s a Small Hotel”) with Ray Bolger, Babes in Arms (“Where or When,” “My Funny Valentine, “Johnny One-Note”), I Married an Angel (“I’ll Tell the Man in the Street”), The Boys from Syracuse, with a book by George Abbott based on Shakespeare’s Comedy of Errors (“Falling in Love with Love,” “This Can’t Be Love,” “Sing for Your Supper”), Too Many Girls (“I Didn’t Know What Time It Was”), Higher and Higher (“A Barking Baby Never Bites,” “It Never Entered My Mind”), Pal Joey (“Bewitched, Bothered, and Bewildered,” “I Could Write a Book,” “In Our Little Den of Iniquity”), and By Jupiter (“Wait Till You See Her”), the songwriting team’s longest-running hit – and their last collaboration. 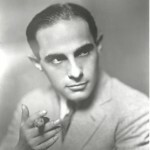 Lorenz Hart, brilliantly inventive as he was, was never comfortable with himself. Homosexual and profoundly ashamed of it, often depressed, short, persuaded he was unattractive, he lived most of his life with his widowed mother. With his great success he was rich, gave frequent parties and managed to draw people to him, but his binge drinking and resultant disappearances became a serious impediment to his work with Rodgers. The pair disbanded temporarily in early 1943, while Oscar Hammerstein II took over writing the lyrics for Oklahoma! Hart’s mother died in April, and he was devastated. A revival of A Connecticul Yankee was planned for November, and Hart rejoined Rodgers in writing six new songs for it, including “To Keep My Love Alive,” but his condition was deteriorating rapidly. The show opened on November 17th, but Hart was missing. He was found, it is said, unconscious and unidentified in a gutter, and delivered to a hospital where he died of pneumonia five days later. As a tribute, in 1948 MGM made a star-studded film fantasy, Words and Music, of Hart’s life, with Mickey Rooney in the central role. Lorenz Hart was inducted into the Songwriters Hall of Fame in 1970, and in 1999 commemorated on a U.S. postage stamp. His sister-in-law Dorothy Hart published a biography, Thou Swell, Thou Witty: The Life and Lyrics of Lorenz Hart, in 1976. A more meticulously researched and less whitewashed account, without the accompaniment of lyrics, Lorenz Hart: A Poet on Broadway was written by Britisher Frederick Nolan in 1994. Photos Courtesy of Rodgers & Hammerstein: An Imagem Company.